As a child I feared silence, it was one of my greatest despairs. In the anxious, still moments of the night I was afraid it would open its giant, invisible mouth and gobble me up. As a teenager I loathed the suffocating boredom of its nothingness, I no longer feared the absence of sound, I resented it. As a young adult I began to welcome the quiet. In silence, I could hear the music of my heart and found the clarity of thought in a still moment both empowering and humbling, and I was thankful for it. Silence now holds a bittersweet mix of emotions for me. At times, I again fear the emptiness of it whispering silently in my mind, unwanted memories can find life in the hollow voids of quietude. There are moments I long to feel the weight of silence wrapped around me as a coat of armor, a shroud of solitude protecting me from the relentless intrusions of the day. Sometimes, I revel in the sheer intensity of silence, the passionate way it caresses my weary brow. There are times I suffer the deafening roar of it when no one else is around. 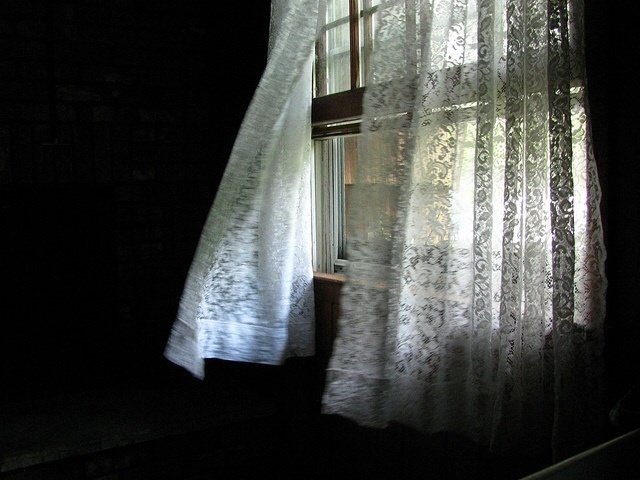 I cherish the silence that comes to visit on a warm, spring day, when I can hear the birds singing and the gentle flutter of playful zephyrs as they billow the curtains and rustle leaves outside my window. My favorite type of silence is the kind broken by the innocent giggle of a child, the kind that leaves me with a shiver of goose bumps and the warmth of sweet love in my heart. I love the solemn silence prayer can bring, when I hear the hushed words of angels as they kneel beside me in quiet comfort. Silence can be a blessed gift or an unwelcome guest. It can provide moments of respite to a weary soul or set restless spirits to stir. Silence is a powerful and mysterious and wonderful thing. I never know when it will find its way to me or when it will make its retreat. Silence has a magic that can find me in the most hectic moments of my day, it invites me into daydreams and frolics in my thoughts long enough to bring a moments peace before reality beckons me back. Whether it be the still beauty it offers or the anxious isolation it can bring, silence is ever present . . . somewhere.